Hi all, I'm link491. 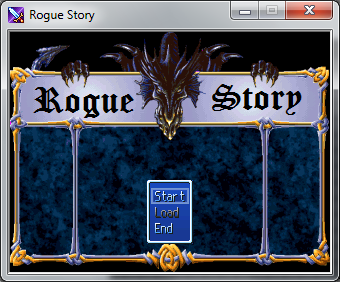 Today I come before you all to happily present my first attempts at game design, in the form of Rogue Story . 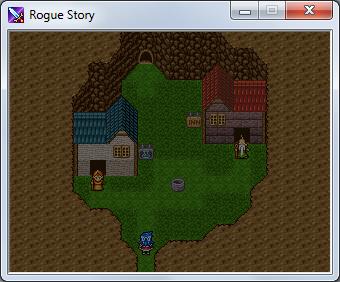 For the most part, this is my attempt to put together a roguelike-style game in RPG Maker 2000, so I'm not completely familiar with all of 2k's functions yet. 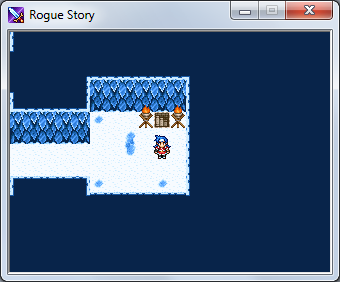 Because of this there may be small bugs, but from initial playthroughs I haven't encountered any. 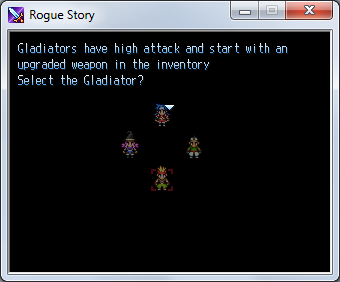 4 Classes to choose from, each with different strengths, weaknesses and skillsets. 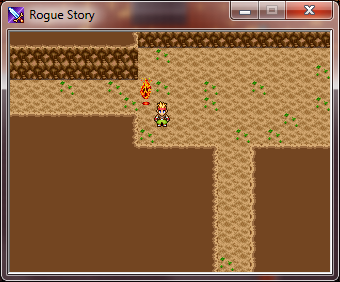 Very steep difficulty curve, as I said, this is an attempt at making a roguelike. Characters die. 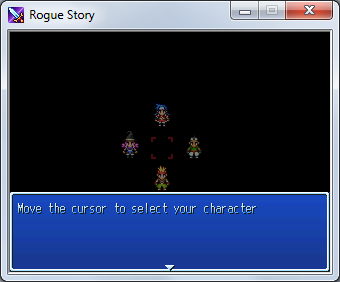 Whenever your character dies, you are brought back to the selection screen and get to pick a different character. Any level progress you made with the previous, as well as any items you had are added to your new character. Randomization! That's right, all items you find from monster drops are completely random, as well as the order and type of dungeon you have to play through. No playthrough will ever be identical! No random encounters! Monsters spawn in the dungeons, and after you kill them, they will respawn after a certain amount of time. The game is complete, although there may be bugs which I'd love to hear about! June 15, 2015: Fixed a bug where you couldn't advance levels (oops). 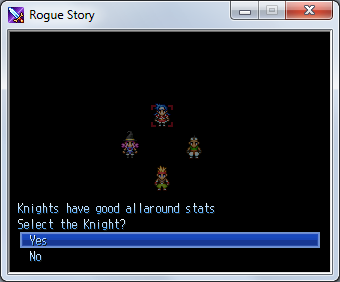 Tweaked difficulty slightly so it's more feasible to actually complete the game. Updated the title screen to not use the stock one, credits go to Fazinha123 for his title screen thats up on Charas-Project. You now need to press space (or z) to activate stairs. I'm a sucker for rm2k graphics so i'll give this a shot. Sure, what not. Looks interesting. I gave a shot to your game. This time I reached the stairs of the first level... and I got stuck. The character just couldn't move, although I could open the menu... I didn't check your scripted event, but I'd advice you to check on other (working) peoples games to see how thinks are usually handled. It's kinda weird too, that it is not possible to get back to the village, no? 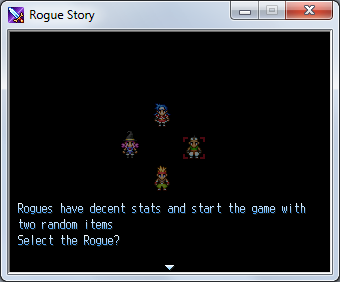 Anyway, I'm not much into roguelikes (I hate anything random...) so good luck with that. Hey, thanks for the reply and feedback! I wasn't aware of that bug, and I'm going to look into it and hopefully figure out what the problem is. I'm going to make an update soon that will hopefully clean things up and make the game overall a more polished product, as well as fix the bugs and maybe tone the difficulty down slightly. 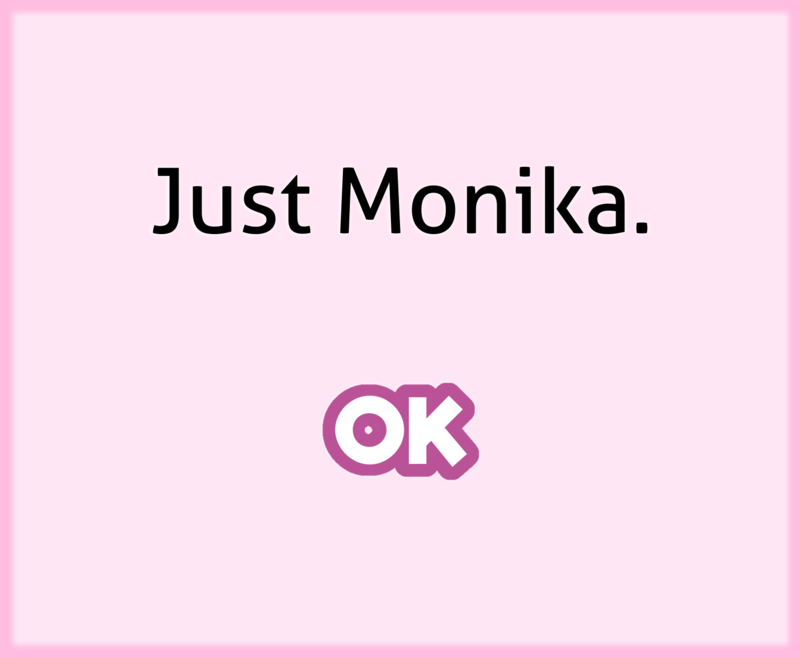 I don't know why I didn't notice this before. Looks pretty cool. Good job! Nature doesn't normally work like that.